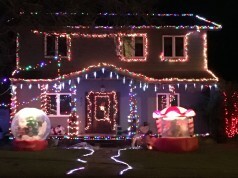 Lynden in Lights 2015: don’t miss these neighborhoods and homes! 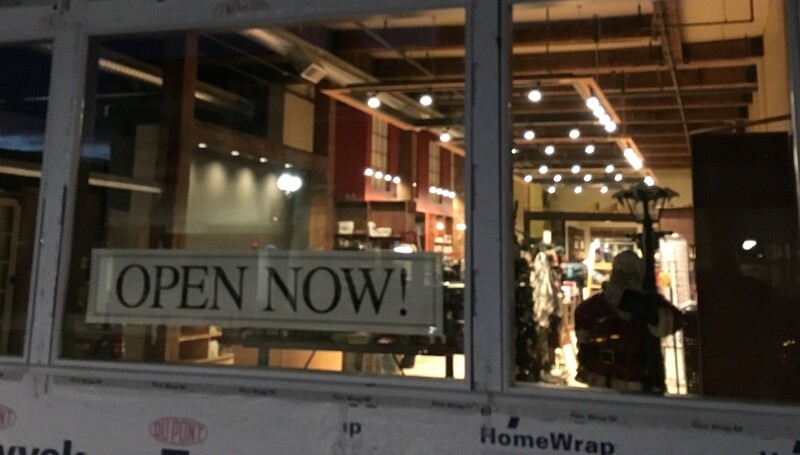 An Update on Waples Mercantile Merchants: what’s opening next? 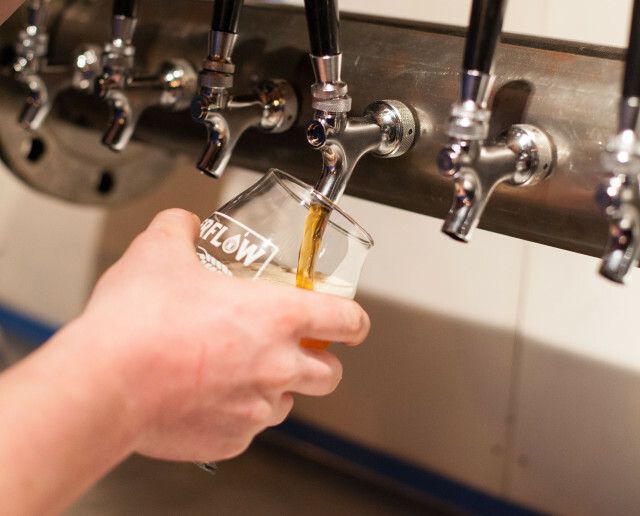 Looking ahead: new openings starting this week! 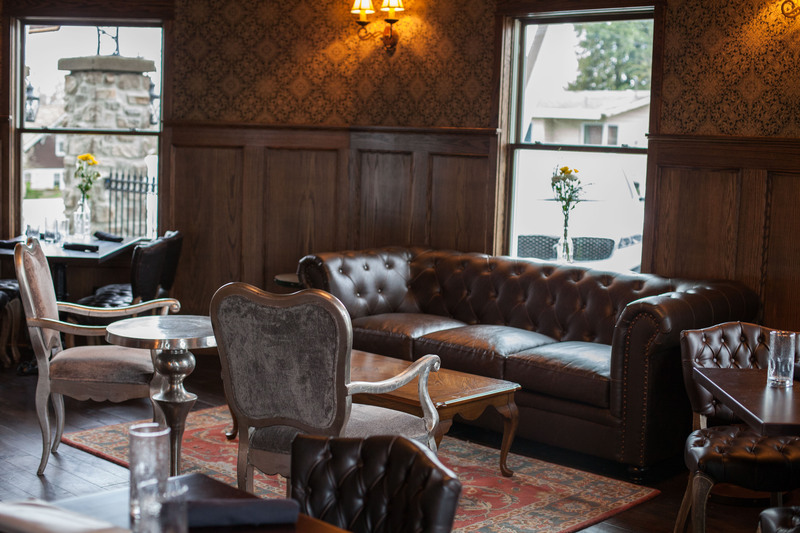 The long-anticipated opening of the merchants in the historic Waples Mercantile Building is upon us. It began with the opening of Village Books in Lynden three weeks ago on November 22nd, and we’ll see a steady stream of openings in the coming weeks and months. Next up: Drizzle Lynden – an Olive Oil & Vinegar Tasting Room, featuring a Charcuterie & Cheese bar, Beer and Wine! 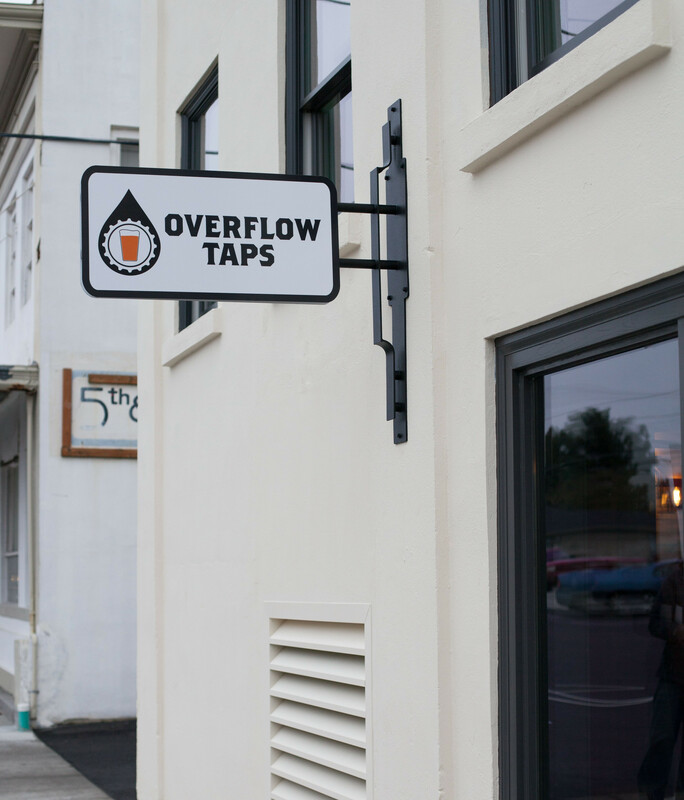 Next up: Drizzle Lynden – an Olive Oil & Vinegar Tasting Room, featuring a Charcuterie & Cheese bar, Beer and Wine! 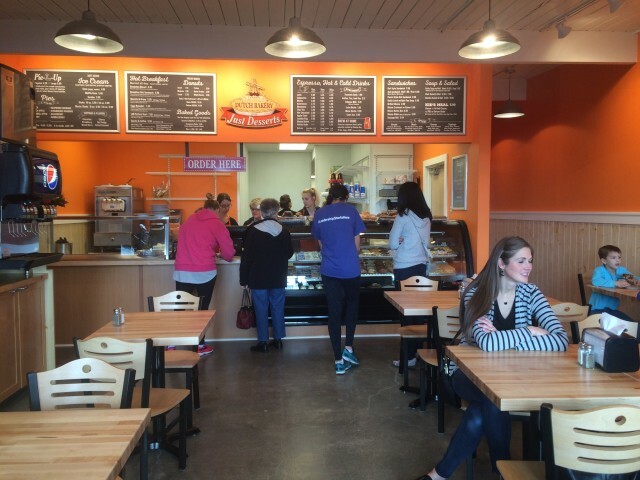 Drizzle Lynden: opening THIS MONDAY, Monday Dec. 14, 2015 at 10am! 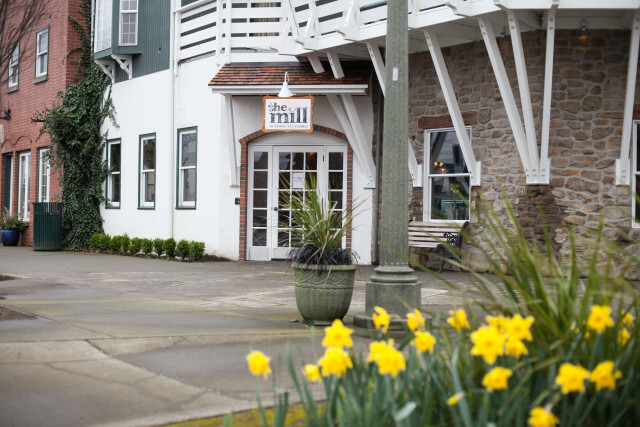 After much anticipation, the Inn at Lynden is set to open the Monday after Christmas 2015, in the fully-renovated Waples Mercantile Building on Fifth & Front Streets downtown. 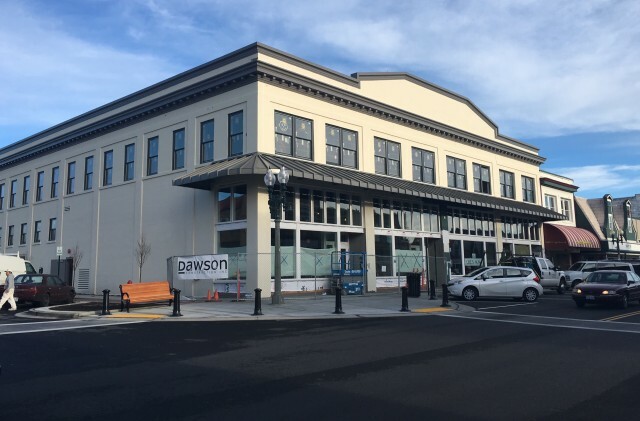 To cap off an eventful and important year in Lynden, the flagship tenant of the Waples Mercantile will be opening their first guestrooms just a few days before year end. 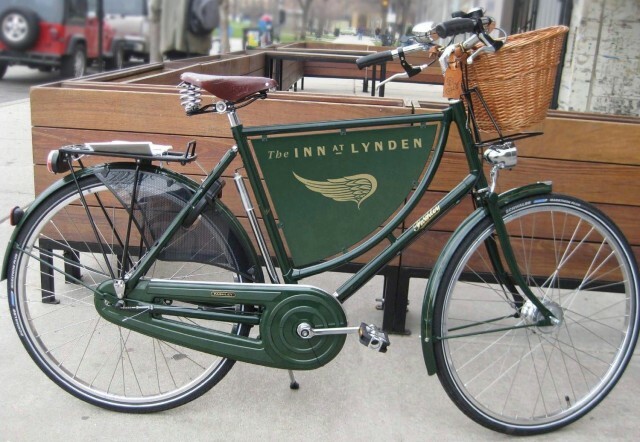 We took a tour of the space with owner-partner Teri Treat and are excited to share with you a glimpse into all the hotel has to offer — from its rooms rooted in Lynden history, to the generous lobby with an oversize fireplace, to complimentary bicycles for guests — not to mention their tasty variety of ‘roommates’ in the building! The entire space seemed to be buzzing with activity — like a busy beehive full of workers, each doing their part to contribute to the vision of the building. 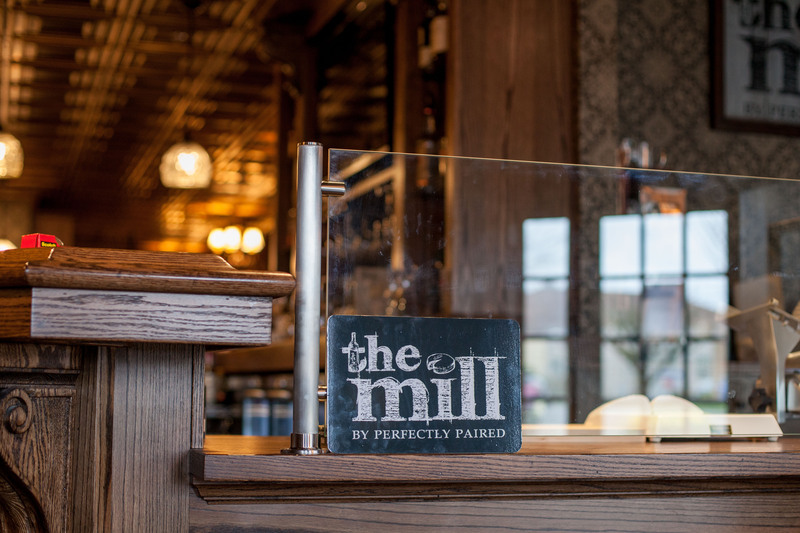 Lynden has long needed additional quality hotel options, and the restoration of such a central historic landmark into a multi-use hotel + food service + retail space is a welcome addition in town. 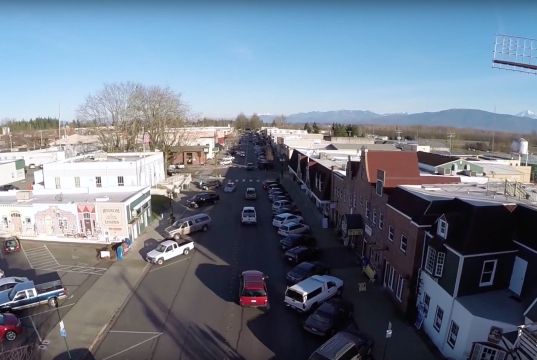 In fact, in ourLynden‘s online poll asking ‘What was the biggest news in Lynden during 2015?’, the Waples Mercantile Building and its tenants are leading with 47% of the vote — 14% ahead of the next most popular answer. We stopped in to Lynden’s newest German-inspired restaurant + bakery, and met owner Liesa (who named the business after her mom). Liesa took the time to explain some of their traditional and unique menu items. Nearly everything is made from scratch, with a focus on health and quality. Nothing is deep-fried, and many of her menu items come with her homemade breads. 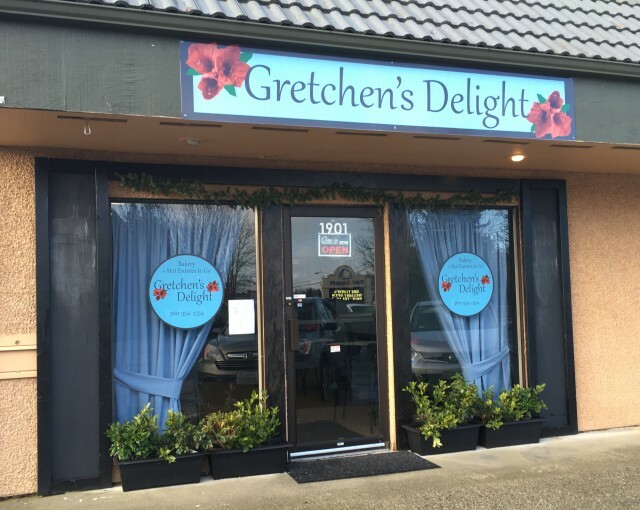 She has a comfortable dining room, and also offers the full menu for carry-out. To go orders can be placed by calling 354-1354, and we’ve included a copy of her current menus for your convenience below (be sure to give her a call ahead of time as her menu and hours are subject to change, especially in the first few months as she learns the desires of her customers). 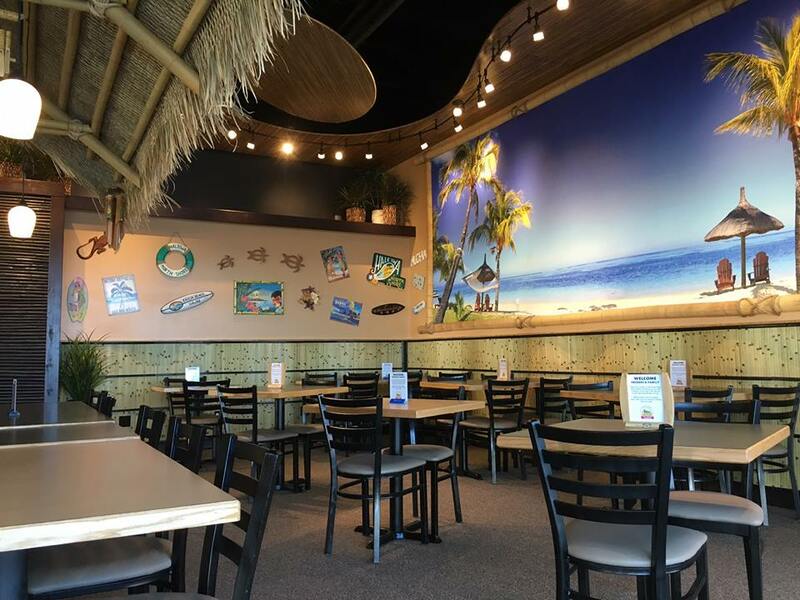 Lyndenites no longer have to leave town for “a taste of paradise” – Coconut Kenny’s opens this week in Lynden! 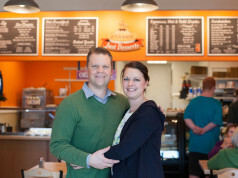 “People have been asking for Lynden for years,” restaurant manager Sara Wallace, a Lynden native, added. 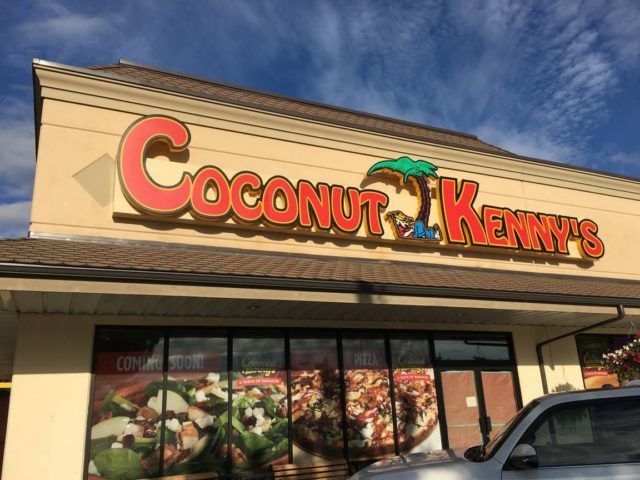 The Lynden restaurant, located at 8122 Guide Meridian — the former site of the beloved Milt’s Pizza — is Coconut Kenny’s 5th location. They are excited for new customers and the opportunity to branch out. 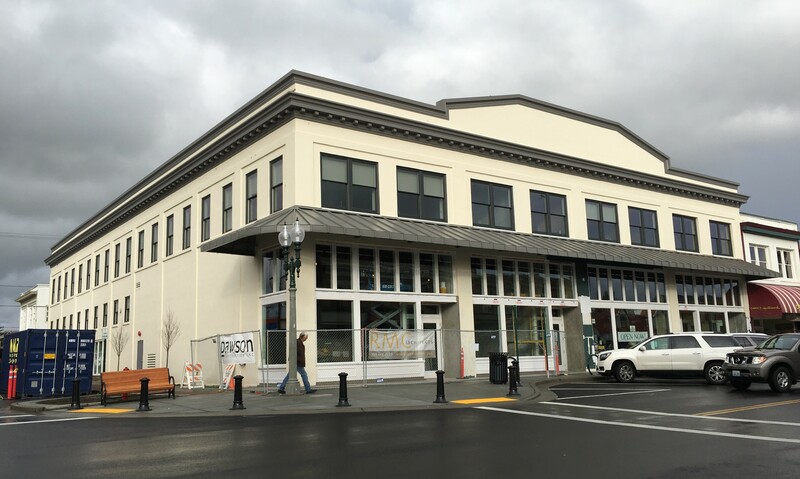 Today, Sunday November 22nd, 2015 marks the silent opening of the first tenant to open their doors in the fully remodeled Waples Mercantile Building on Front Street in downtown Lynden. Village Books has long been promising a November opening which many saw as unlikely, but they’ve pulled it off! While the interior (and exterior for that matter) are clearly not completely finished, the store has a warm feel and had a dozen or so people checking it out around 5pm this evening (they first opened at noon today). There’s no exterior signage on the building yet, but a large “Open Now!” banner across the window invites in any passerby. 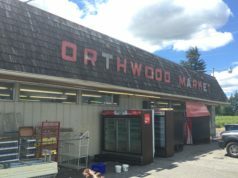 A number of staff, including the Lynden store manager as well as owner Chuck Robinson were at the store, in addition to Waples Mercantile developers Teri Treat and Debra McClure. 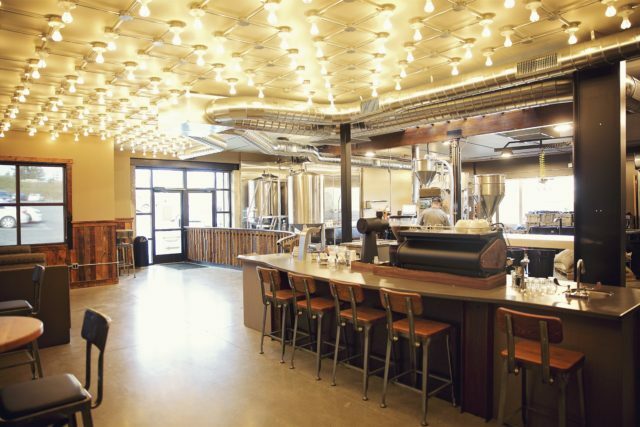 It’s a big week for Lynden-based Woods Coffee: a new logo and the Grand Opening of their new roastery this Saturday. 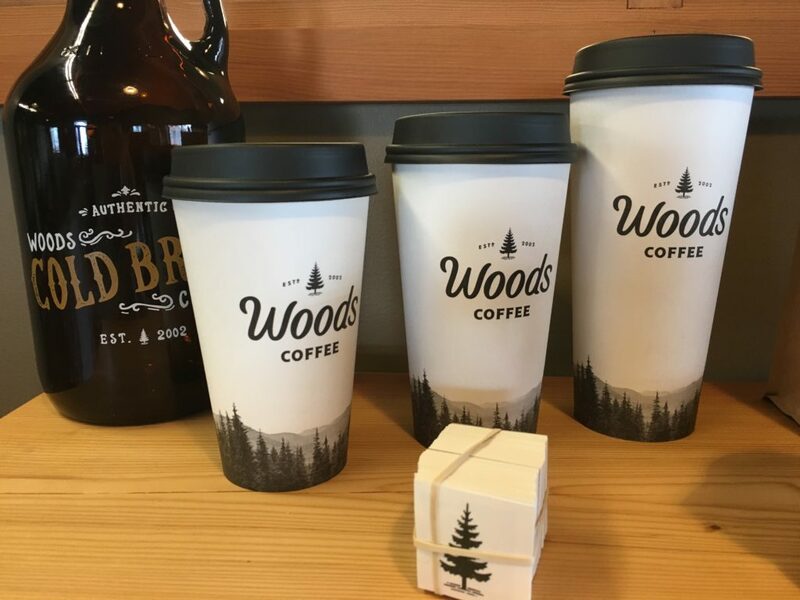 After 14 years in business, the Woods Coffee has updated their logo and branding materials. The new logo (pictured below) is reflects the company’s Northwest roots and is designed to be cleaner and more simple than the historical brand mark. “The script font is a reminder to never take ourselves too seriously — to live out one of our core values which is to have fun,” explained Wes Herman, who founded the company along with his family in 2002. 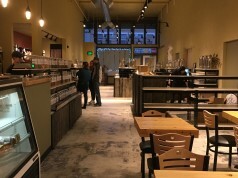 The new branding will roll out across the stores over time, with the drink cups being one of the first elements to sport the new logo in their three Lynden coffee shops. The new cups each have a quote from John Muir, who is commonly referred to as the father of the National Park system, which celebrates 100 years this year. 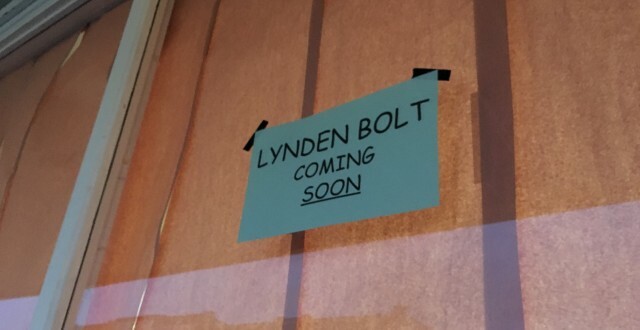 Many have wondered what the ‘Lynden Bolt – Coming Soon’ signs at 404 Front Street mean exactly. Some speculated that it could be a sewing shop selling bolts of fabric, while the more creative thinker might have imagined a gun parts store selling rifle bolts. Neither would be correct, as Lynden Bolt is the in-progress retail establishment of Mobile Hardware, Inc. which has sold wholesale fasteners locally for nearly 30 years. 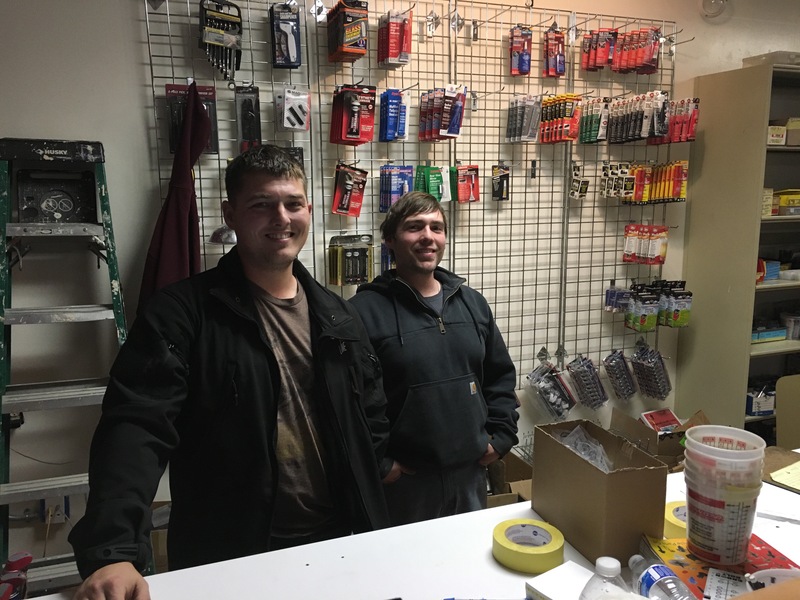 Brothers Jesse and Tim Clark (pictured above) were busy setting up in the store when we dropped by Monday evening. With a friendly and upbeat attitude they explained their specialization in fasteners that other shops in the region don’t carry.